Summer in Paris, welcome on board! 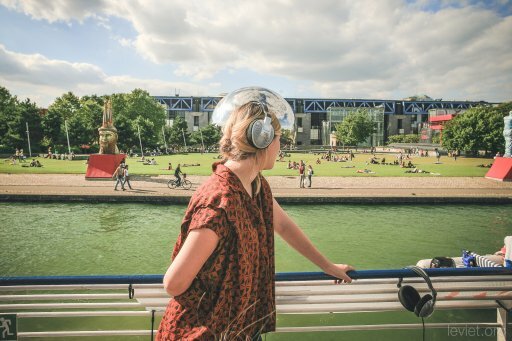 Été du Canal festival in Paris will liven up the banks of the Canal de l’Ourcq all summer long, from July 7th to and August 26th 2018. For two months, this parisian canal will be bustling with fun, sport and cultural activities: concerts, balls, water-based leisure activities, street-art, cruises, parties, visits and strolls, open air cinema… all on the water’s edge. Check out all year long water activities near Paris. 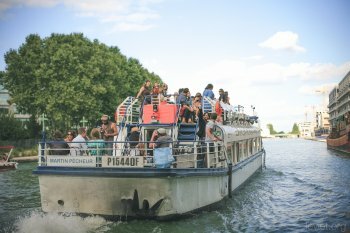 River shuttles during the Été du Canal festival are back again on the Canal de l’Ourcq in July and August. Every weekend, embark upon a journey just a stone’s throw from Paris. For a small price, treat yourself to a moment of calm on the water’s edge. In Bobigny, a temporary pleasure port is built. This convivial space, original and colourful, will be the scene all summer long for local participants to perform: artists collecties, designers, architects, etc... and offer you, each weekend, free concerts, DJ sets, shows, balls, workshops, aperitifs… a nice place to party and chill this summer in Paris region. Dance balls are organised over some summer weekends on the banks of the Canal. Hip hop, Latin music, waltz-musette, swing, world music… Try out different dance steps at a choreography workshop with your feet practically in the water, see the professionals dance or take yourself on to the dance floor! 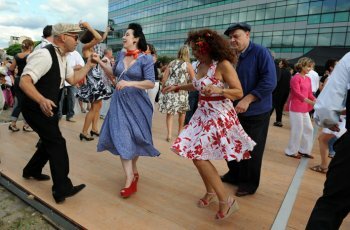 Where to dance this summer in Paris? Do not hesitate to climb on to the barges moored along the Canal de l’Ourcq from the Bassin de la Villette to Pantin. There are many activities on offer: shows, concerts, exhibitions or just simply relax. You can also hop on board for a lunch or dinner on water. 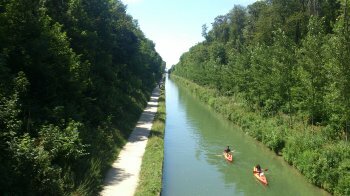 All summer long visit the canal in different ways! Rent a bike or pedal boat and discover the splendid landscape along this small part of the Canal de l’Ourcq. For those among you willing to discover its more rural nature, rent a kayak! Check out the program of festivities and activities in the magnificent Parc de la Poudrerie in Sevran-Livry. 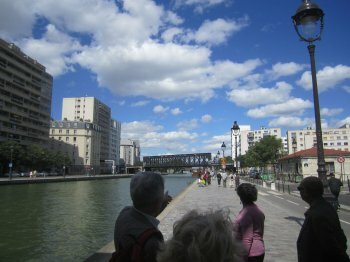 Come and explore Paris and the Canal de l’Ourcq from every angle, on foot, by bike, by boat and why not by scooter. Let the story-teller transport you. Actors, artists and the local population will be your guide for a day for a memorable journey along the water’s edge. 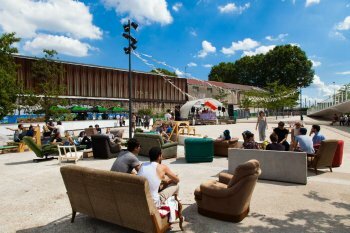 Urban artists come bace again and again to revisit the urban landscape of Canal de l'Ourcq and Canal Saint-Denis. They contribute to the artistic creations from Paris to Aulnay-sous-Bois and from Paris to Saint-Denis. 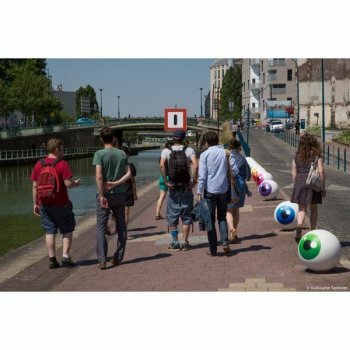 This summer you will be pleased to see “Street-art Avenue” while cruising along Canal Saint-Denis. These cruises will be accompanied and commented by an artist or someone else involved in the project. A surprising and striking street-art trail. Come and have lunch, dinner or simply picnic on the water’s edge, for a gourmand summer break. Enjoy the restaurants and bars on the banks of the canal or stop at one of the snack bars or picnic areas: cafés and picnic spots in Paris. 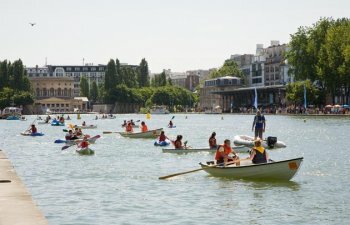 The Ourcq is not the only thing moving this summer, all of greater Paris is taking to the water: take part in the trips along the Seine in the Hauts-de-Seine region, discover what’s on in Val-de-Marne this summer or enjoy the thrills of sailing on the Marne which crosses the south of Seine-Saint-Denis with "Passeurs de Marne" river shuttles and take in the beautiful countryside scenes along the river between Noisy, Gournay et Neuilly-sur-Marne. Do not forget Paris Plages on the Seine and at La Villette in the 19th arrondissement of Paris. What to do in the month of July in Paris?